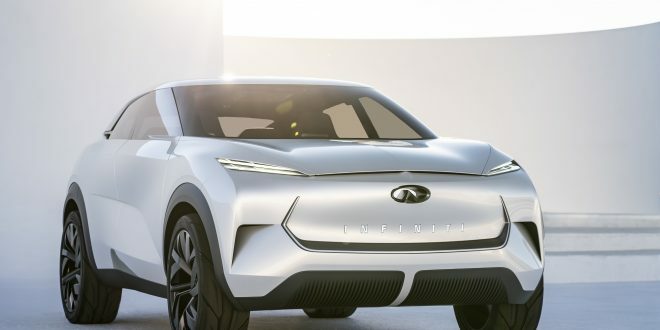 The INFINITI QX Inspiration is a midsize SUV concept previewing the brand’s first fully electric vehicle. As a company with technological and powertrain innovation at its core, electrification is a natural next step for INFINITI. 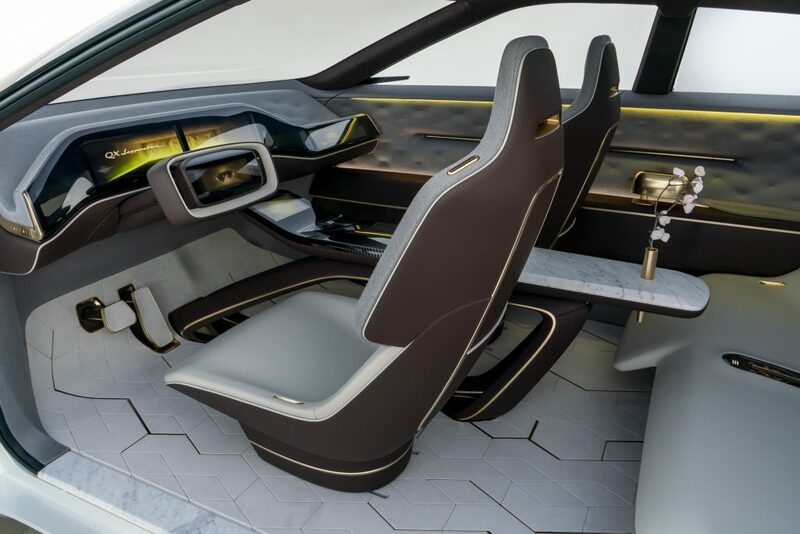 This design study previews the brand’s plan to launch a range of high-performance electrified vehicles that promise an engaging drive and deliver range confidence. The INFINITI lineup of the future will consist of a range of electric, e-POWER and performance hybrid vehicles. 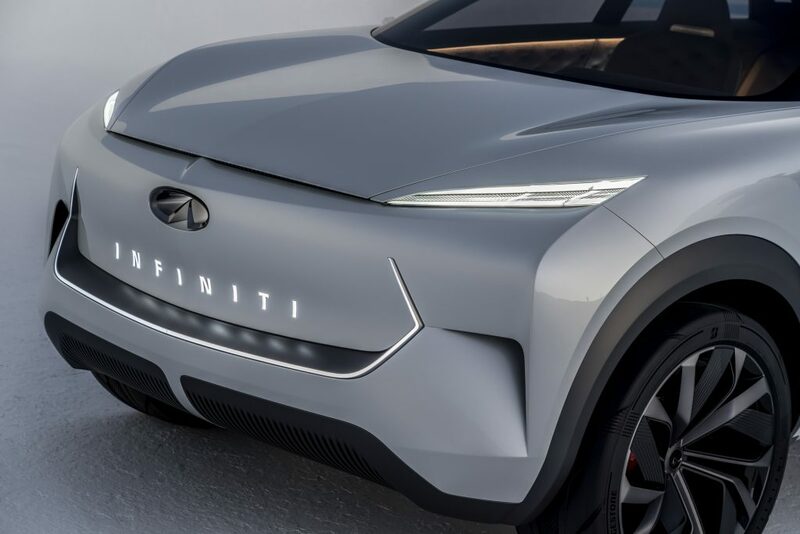 After a delayed debut, caused by technical difficulties, the Infiniti QX Inspiration concept finally made its way to Infiniti’s Detroit auto show stage. 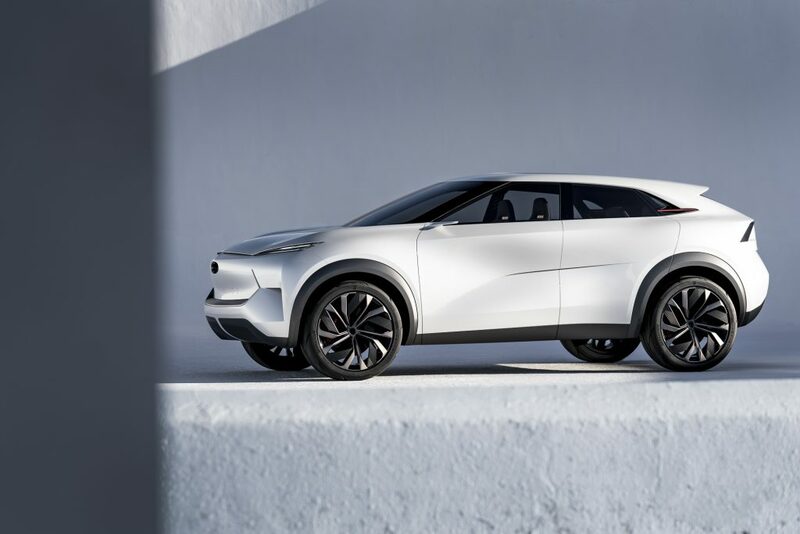 While not the best way to introduce your electric-based future, the QX Inspiration is an inspired vision, even if far from reality. Thanks to the generous size of a mid-size crossover, Infiniti will have space to accommodate a large battery back under the floor, which will send power to motors in the front a rear axles. Riding on large concept-sized rollers, the QX Inspiration has an athletic stance, as muscular fenders and a high belt line create the image that this car is ready to pounce. Opening the front and rear suicide doors presents the QX Inspiration’s futuristic interior, and in the absence of a drivetrain tunnel, Infiniti was given the opportunity to reimagine the way a passenger compartment can be designed. Taking the place of the entire dashboard is a large, curved display. Centered in the steering wheel is another display. Thin buckets are used up front, while the rear seat’s bench design wraps around passengers. Marble is used in place of plastic for the center console, while the rest of the interior is covered with white suede and gold accenting. Gold lighting illuminates a soft glow around the interior, somewhat like the lounge at a swanky hotel. Backseat passengers have access to a small vase built into their portion of the marble center console, again, reminiscent of a swanky hotel lounge. 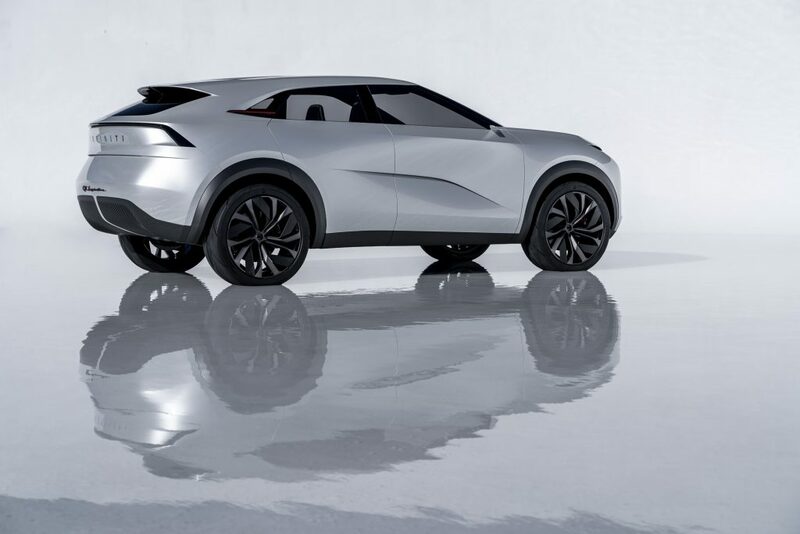 While it’s unfair to take concept cars too serious, the QX Inspiration gives us a look at what could be, and if the future is electric, perhaps this concept won’t seem too impossible or impractical one day. It wouldn’t be the first car featuring a built-in vase, after all.